Enjoy a closer and clear bright image with this 40X60 HD Intelli-Zoom™ with Phone Tripod! 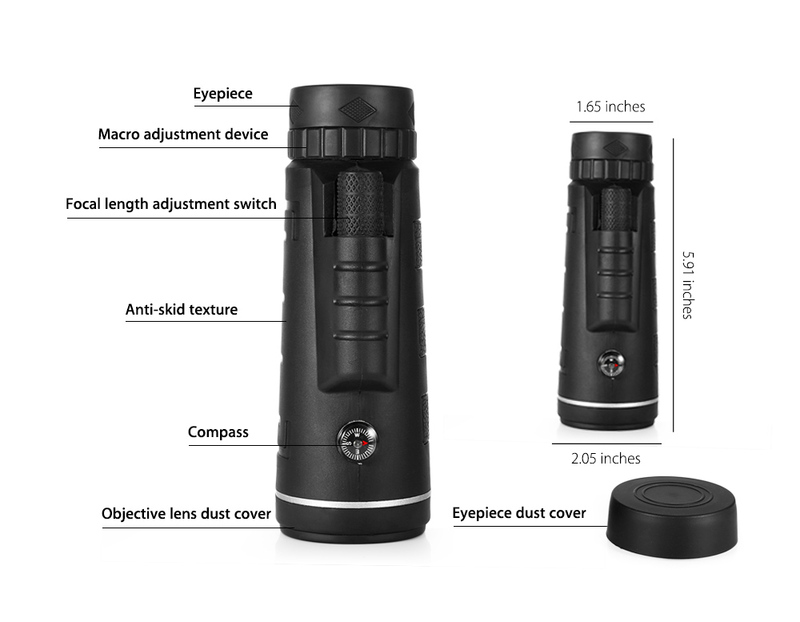 This monocular can be used anywhere, whether you’re watching wildlife animals, concerts and games or exploring the world! 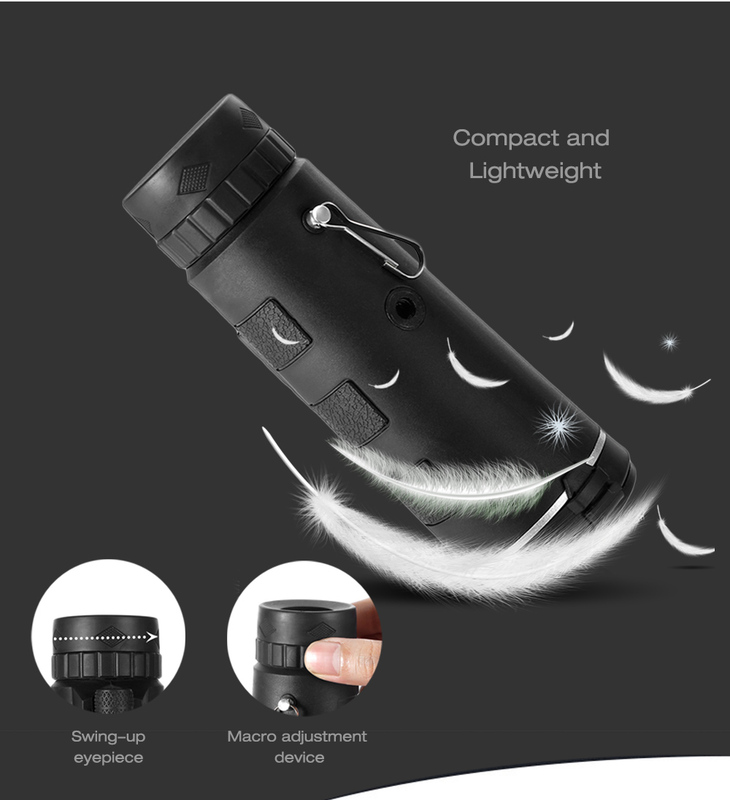 Turn your phone into a Mini DSLR, with a powerful magnification lens like that of a telescope, you can easily zoom in and capture HD quality pictures and videos without sacrificing the overall quality of the camera. Remember the last time you saw the breathtaking view, but when you took out your phone to snap a picture, it just didn’t look that great? Now with Intelli-Zoom ™, you can see the world with a wonderful vision like never before! HD vision: 40X magnification with up to 9500m of visual range, it's 20 times farther than other ordinary cameras. 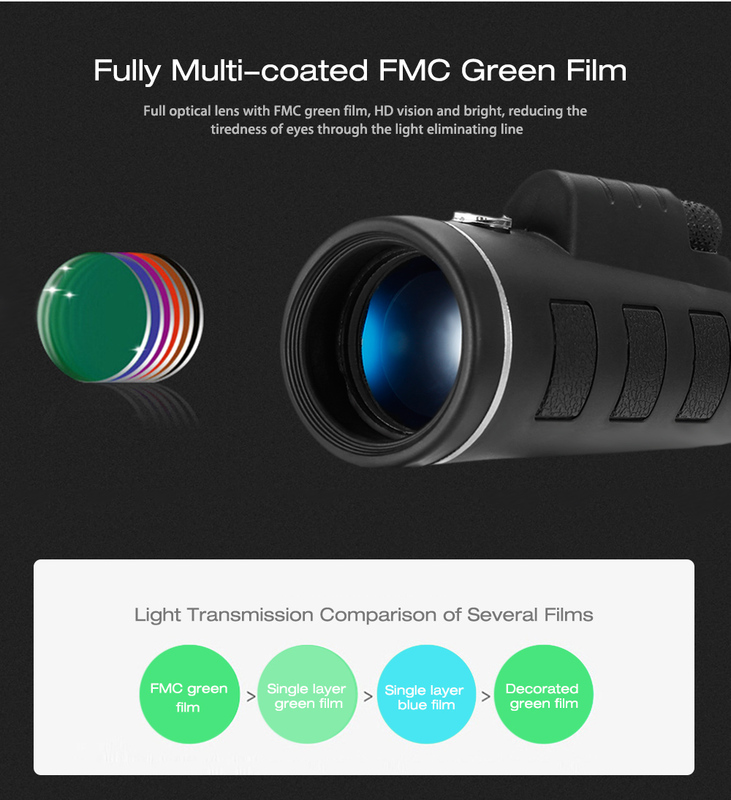 BAK4 prism lens design provides clear and razor-sharp HD viewing. Easy to focus: Zoom in and out with ease using the rotating knob on top. Allowing you to get up as close as possible or pan out to align what you want to zoom into easier. Wide Field of View: The 22mm wide-angle eyepiece and FMC multi-layer reduces light loss and glare while high-index prisms deliver crisp images with superior sharpness and contrast. 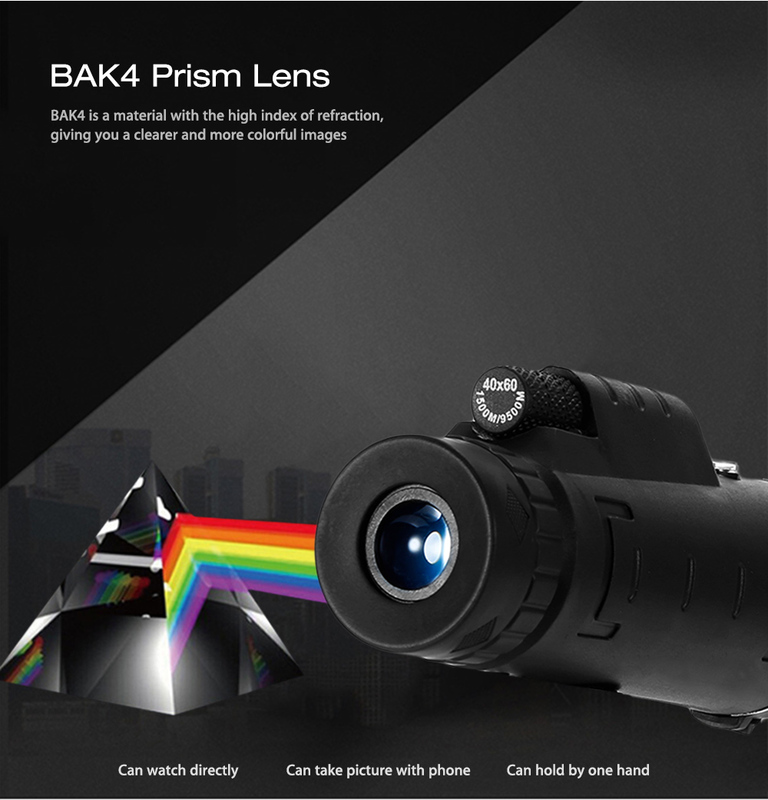 ; BAK-4 prisms for bright, clear and razor-sharp viewing. Low Light Vision: With Intelli-Zoom™ You can enjoy the view even in low light. Built-in compass: Great for camping and outdoors, Intelli-Zoom™ comes with an in-built compass for smooth navigation. Equipped with a Tripod and phone clip: Take HD quality pictures and record videos by mounting your phone and tripod. 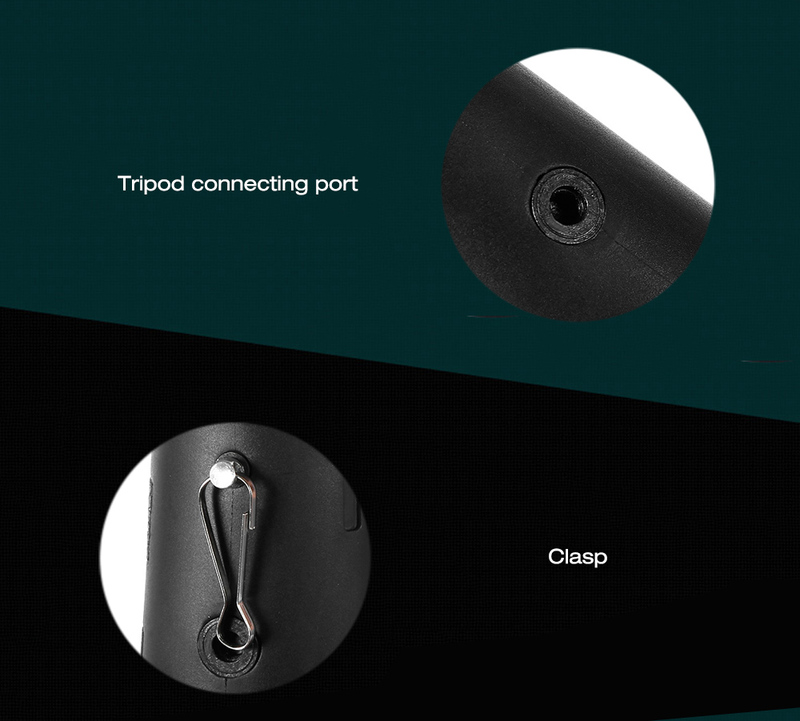 Our tripod is made of completely flexible cable for the legs. Extremely strong and steady, just adjust the height and angle to get the perfect shot. Compact and lightweight: The Lightweight and compact design allow you to carry it anywhere you go. Intelli-Zoom™ is small enough to tuck into a pocket in your backpack or even your back pocket so you always have them handy. Single-Hand Use: You can adjust the one-hand focus wheel easily which makes it user-friendly.The eyecups can be easily and rapidly twisted up and down for optimal viewing with or without glasses. Super Durable: Rubber coating protects the body from impact and wear. 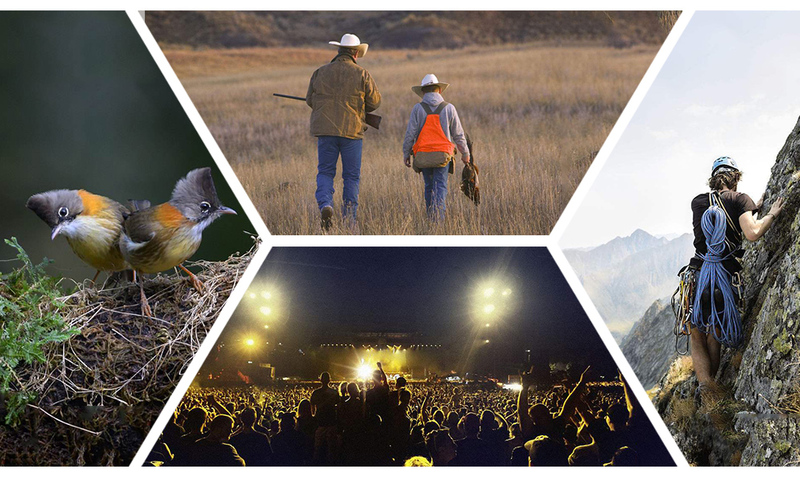 Intelli-Zoom™ is ideal and safe for travel, hunting, camping, hiking, and other outdoor activities.